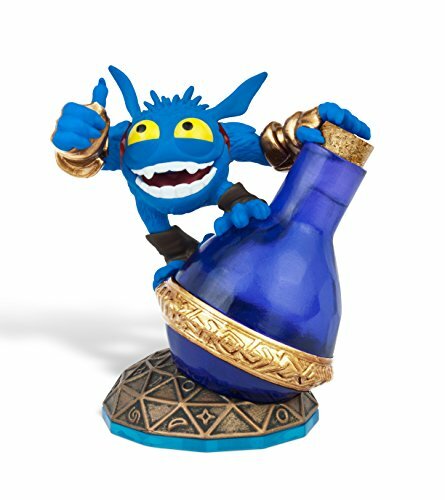 Activision Blizzard Inc. Skylanders SWAP Force Character Super Gulp Pack Pop FizzNobody is quite sure who Pop Fizz was before he became an alchemist, least of all Pop Fizz himself. After many years of experimenting with magical potions, his appearance has changed quite significantly. In fact, no one even knows his original color. But it's widely known that he is a little crazy, his experiments are reckless, and the accidents they cause are too numerous to measure. Understandably, he has had a difficult time finding lab partners, or anyone that even wants to be near him. In hopes of making himself more appealing to others, he attempted to create the most effective charm potion ever - but that just turned him into a big, wild, berserker. Or maybe that's just how he saw the potion working in the first place...Warning: Choking Hazard - Small parts. 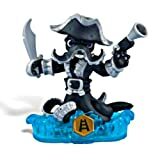 Not for children under 3 yrs.This Skylanders SWAP Force character requires the Portal of Power (included in the SWAP Force Starter Pack) to be used in-game.